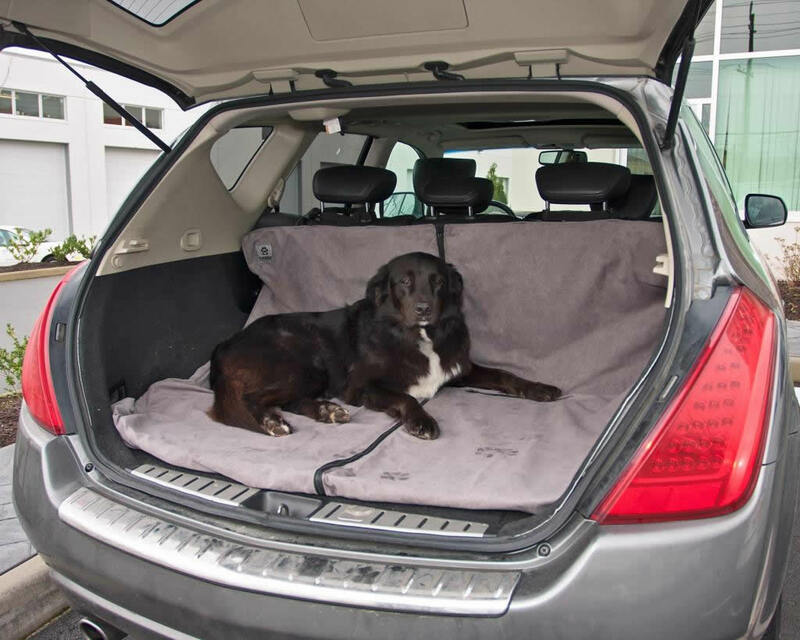 With a choice of full back seat protection, a hammock set-up, protection for your car's hatch, or the back section of a wagon the Canine Friendly Canine Car Seat Protector is up to the job. 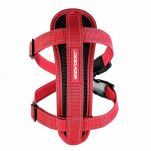 The Car Seat Protector features adjustable headrest straps and elasticized corners help hold seat protector in place. 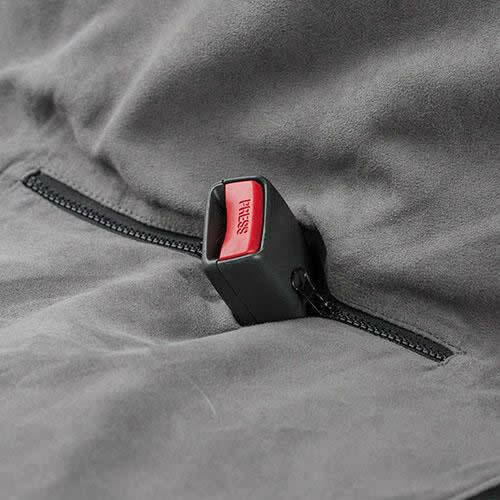 There are also convenient seat belt buckle access zippers to close off or allow access to seat belts. 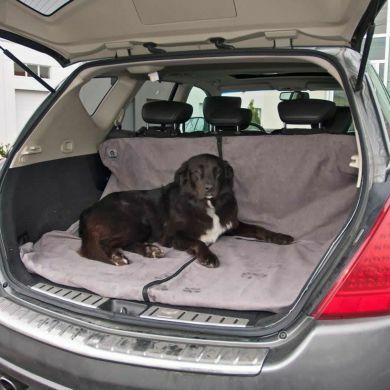 It even has a handy centre zipper that converts it to half size to allow a human passenger to sit alongside your dog. 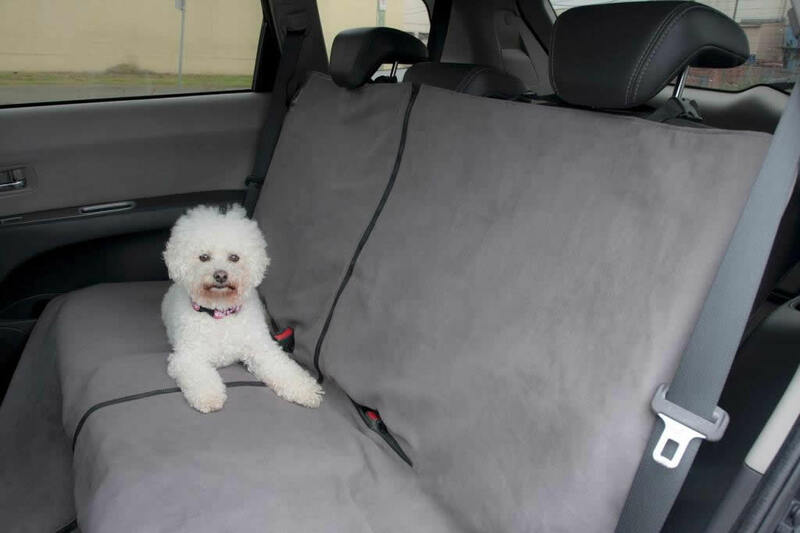 Made from a smooth microsuede, this car seat protector saves your car from dirt, mud, scratching and loose dog hair with a waterproof backing and the elasticised corners to keep it all in place. 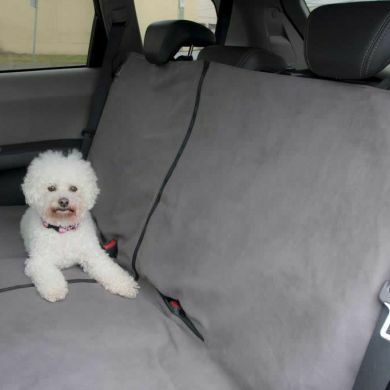 Read 4 customer reviews of Canine Friendly Canine Car Seat Protector. The average customer rating is 4.8. We take our two dogs (Lucy the Koolie-Kelpie and Douglas the Jack Russell) pretty much everywhere we go. Whether it be to the farm, bush walking, or beach combing, they are with us. 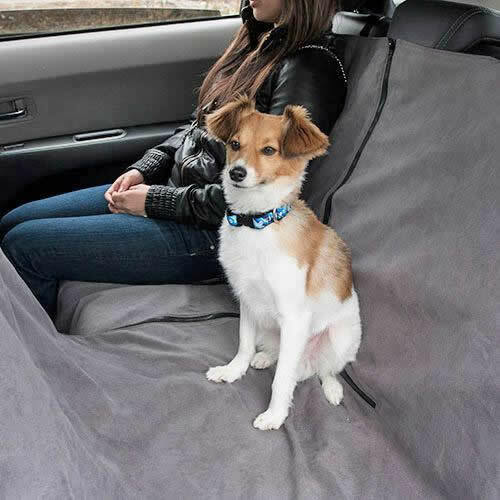 The Canine Friendly Car Seat Protector has been a fantastic purchase. It keeps our seats protected from almost all wet and grubby adventures. It is durable, fits perfectly, and is easy to clean. 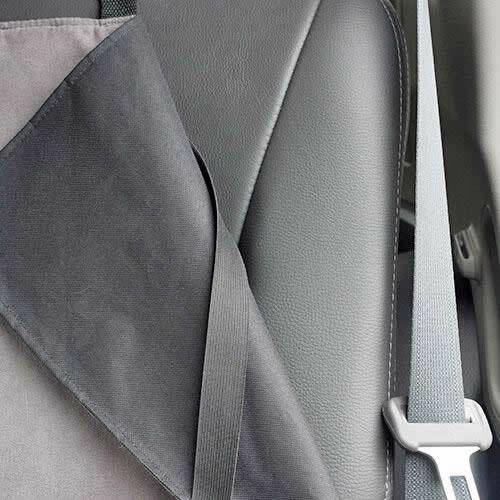 The only negative I would add is that fine dirt and sand can escape through the seat belt hole zippers over time, but we don't find it a major concern. We love the hammock so much we bought a second one so both of our cars are protected! 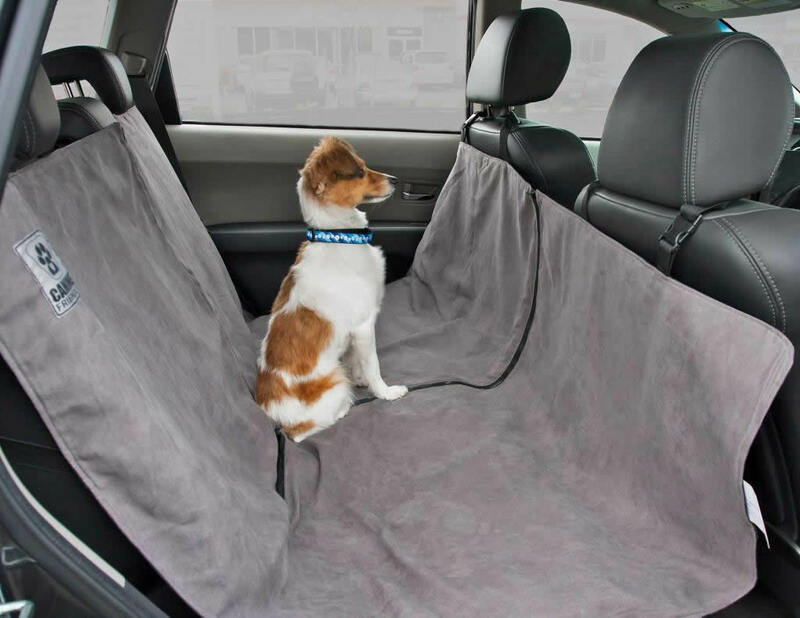 Desperately needed this item as my dogs were treating the car as their own play pen! Not only does this 'hammock' protect my seats but it stops my dogs from jumping into the front seat. Double winner! Thanks! Excellent! Top quality and a great fit. Unlike other covers I have purchased elsewhere in the past, the material provides a more stable surface so my dog doesn't slide around and it doesn't smell like petrochemicals. Very happy with this purchase. This product is *fabulous*. 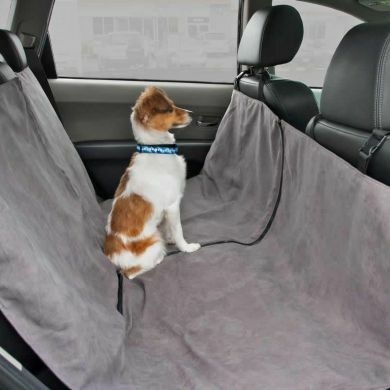 It is of high quality and fits the back seat of my car firmly and neatly. It looks great, and absorbs wet paw prints well, not to mention the fact that any dirt or hair is kept off my upholstery! Highly recommended!